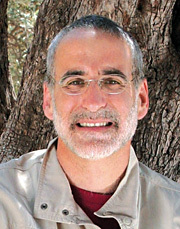 Dr. Jeff Seif succeeded Zola at the teaching helm of Zola Levitt Ministries and as the ministry’s principal spokesperson. He continued teaching the ZLM message on television, writing books and articles, and ministering in churches across America. Jeff and Zola co-created our correspondence course, The Institute of Jewish-Christian Studies. Jeff received a master’s degree and doctorate from Southern Methodist University in Dallas; he taught over 400 students each semester in Bible colleges and pastored at least four churches over a span of twenty years. Jeff is a graduate of the North Texas Regional Police Academy, and holds a master’s degree and doctorate in theology and ministry from Southern Methodist University.